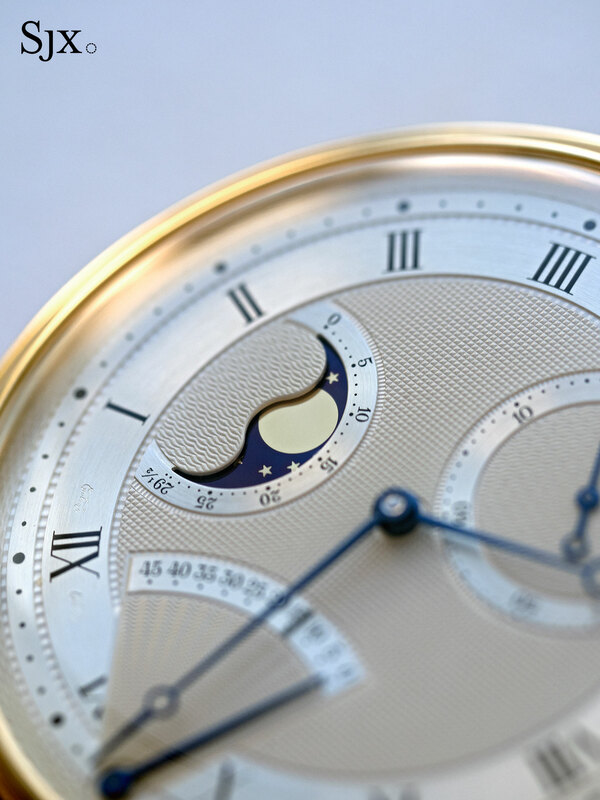 In April 1991 Antiquorum – then in its heyday as the world’s most powerful watch auctioneer – conducted The Art of Breguet, one of the earliest thematic watch auctions. Amongst the 204 lots on sale were many historically important watches, but one of the key highlights was a modern creation: the Breguet Souscription Set. Made up of a minute repeating, perpetual calendar wristwatch as well as an incredible perpetuelle wristwatch, the set was packaged in an elaborate and large burr wood box lined in silk jacquard fabric, accompanied by nifty accessories like a gilded magnifying glass and polishing stick covered in suede. Set no. 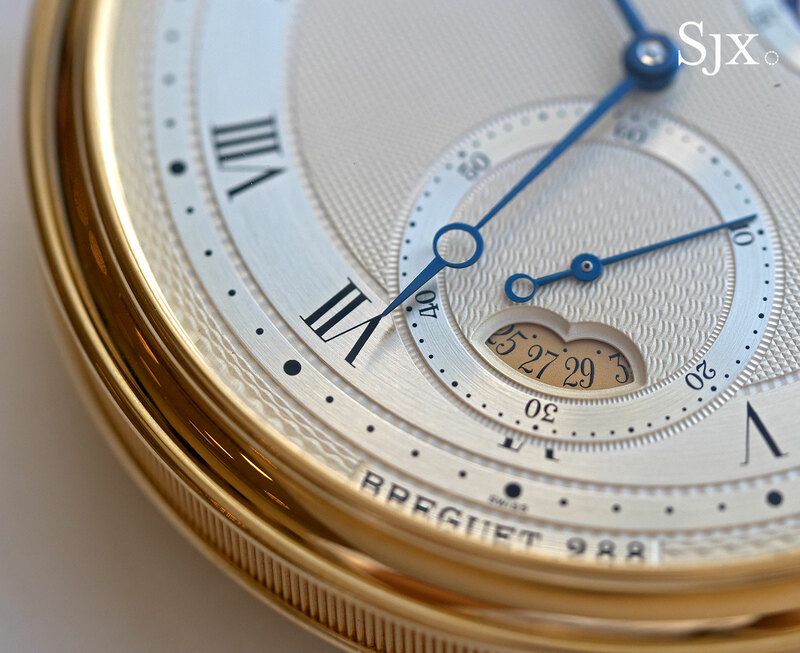 1 was the second last lot in The Art of Breguet, with the total run being a limited edition of 300 sets in pink, white or yellow gold, or platinum, produced over several years in the early 1990s. That’s a fairly large number, explaining why the sets regularly come up for sale – the one pictured is in Christie’s upcoming Hong Kong auction – for prices that make them exceptionally strong value. 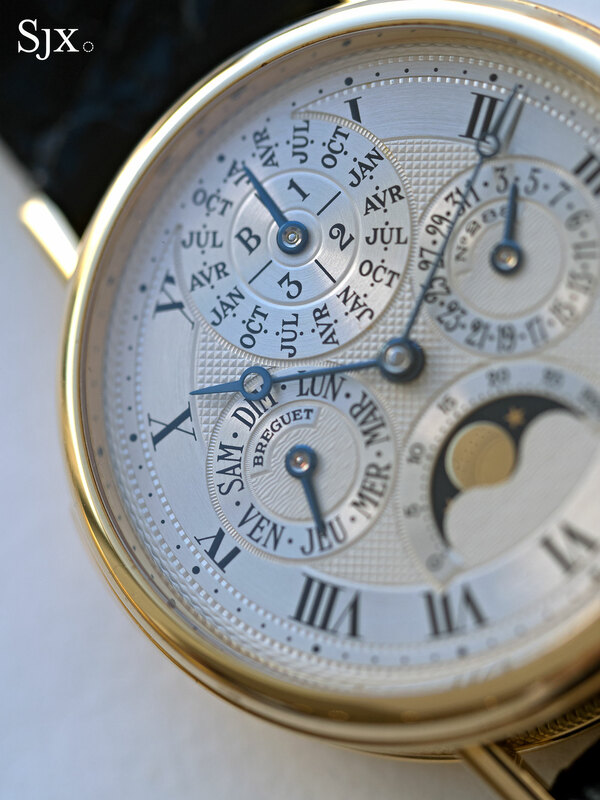 While the set gets its name from Abraham-Louis Breguet’s souscription watches, a marketing gimmick of sorts invented by Breguet whereby a client paid for a watch in advance, hence the “subscription”, the pair of watches that make up the set look nothing like the original souscription watches. 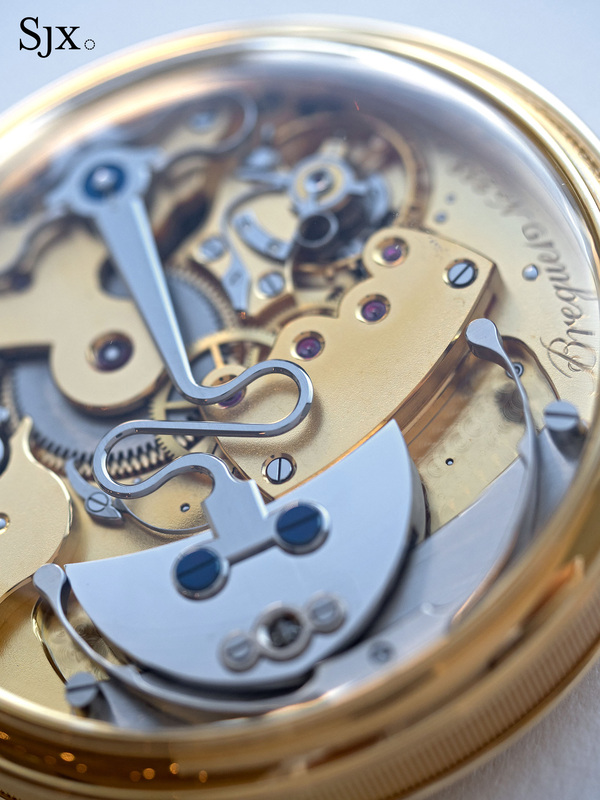 The originals were simple, one-handed and made in series, being the inspiration for the modern day Breguet La Tradition watches. 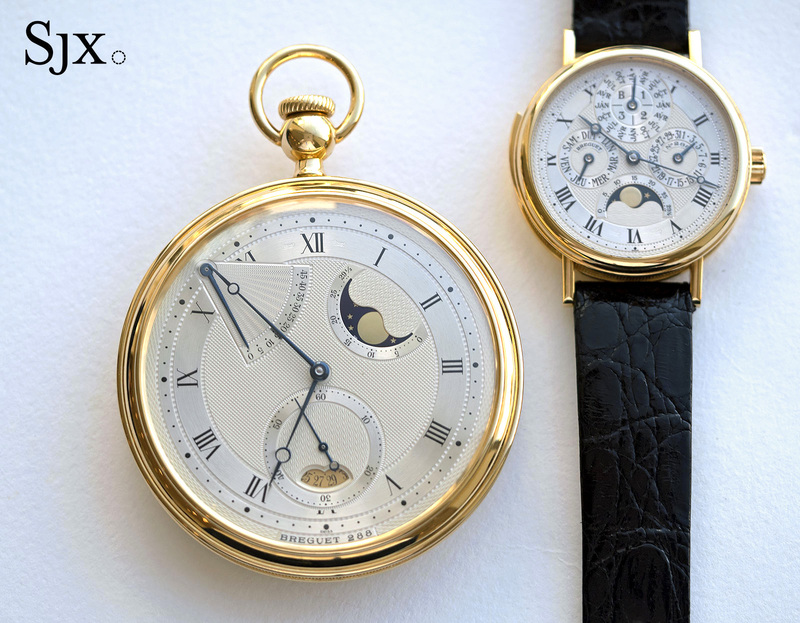 In contrast, the pocket watch in the set is instead modelled on early Breguet self-winding watches that also featured other complications, known as perpetuelle, while the wristwatch is a typical perpetual calendar. The wristwatch half of the set, a ref. 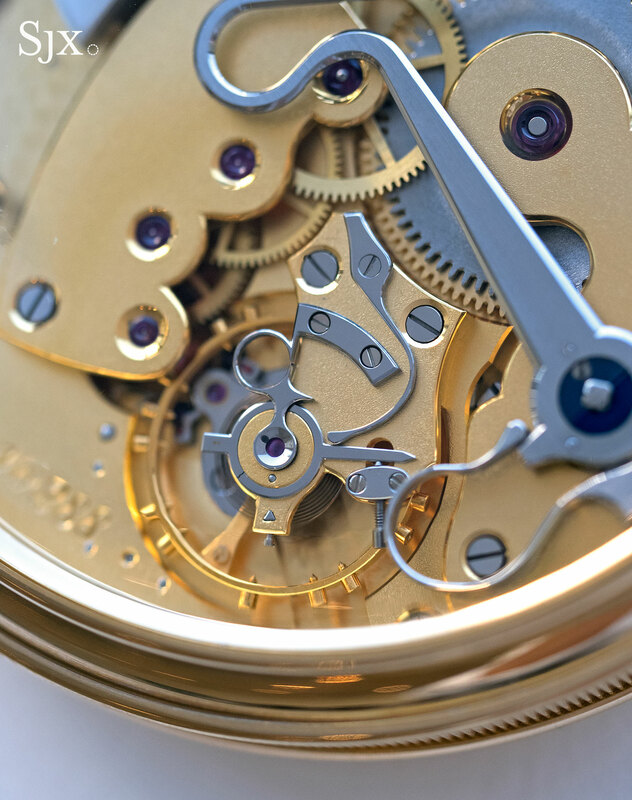 3430, is fairly predictable, which is to say a classically styled, highly complicated timepiece. 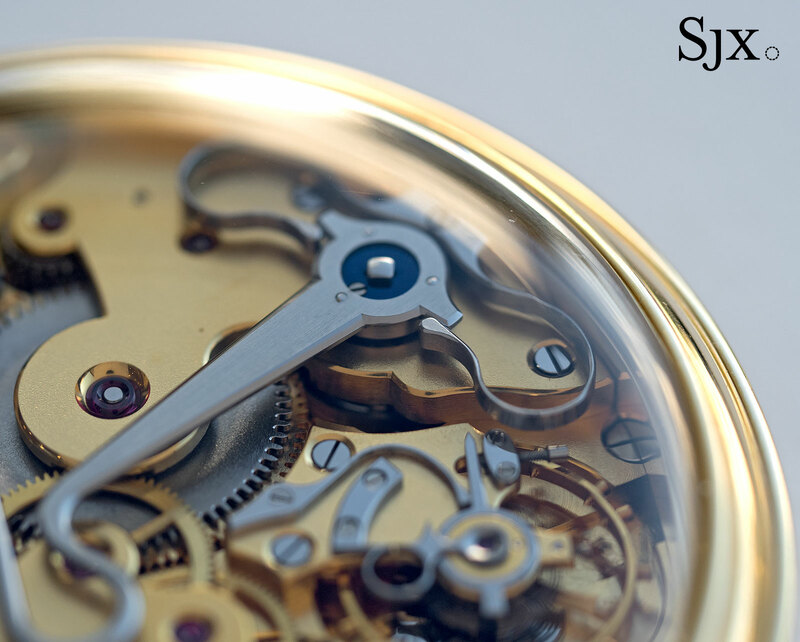 It’s not as impressive as the pocket watch, but finely crafted. 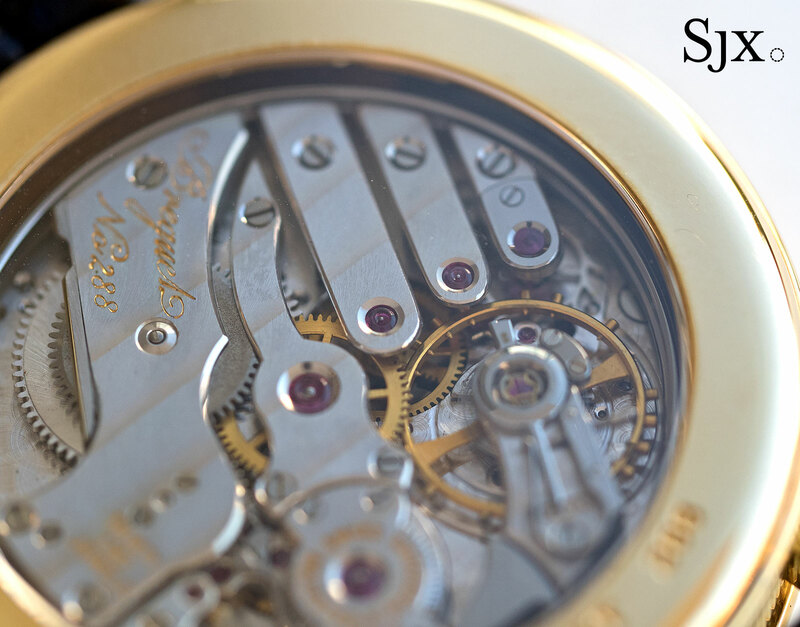 Engine-turned by hand and made of silvered solid gold, the dial is complex but neatly laid out and well proportioned, since the movement size suits the case well. The case is 37mm in diameter, a good size but left feeling smaller than it is due to the thickness of the case. That’s because of the cal. 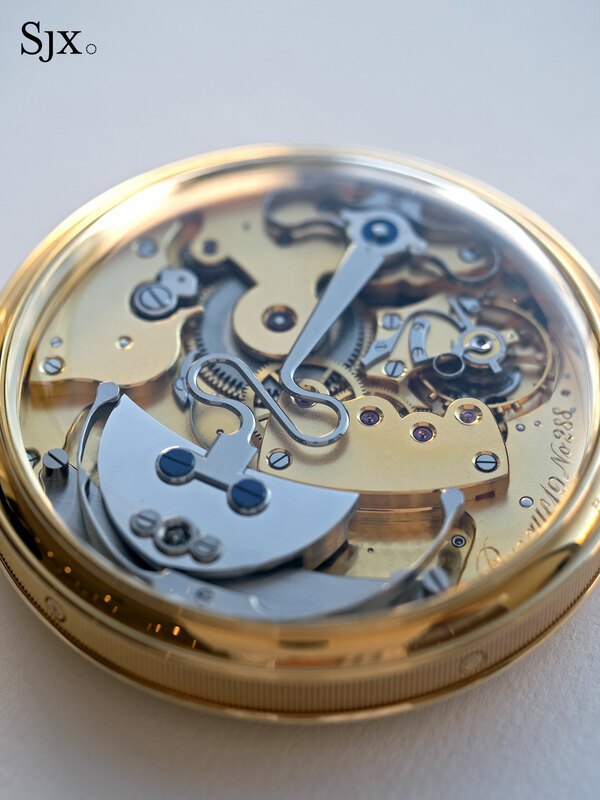 567 inside, which is a Lemania minute repeating calibre (the cal. 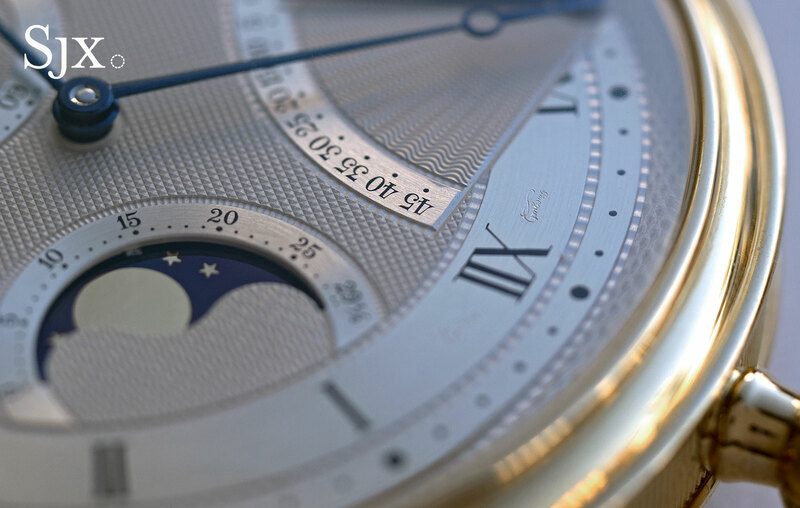 399) with a perpetual calendar model on top. 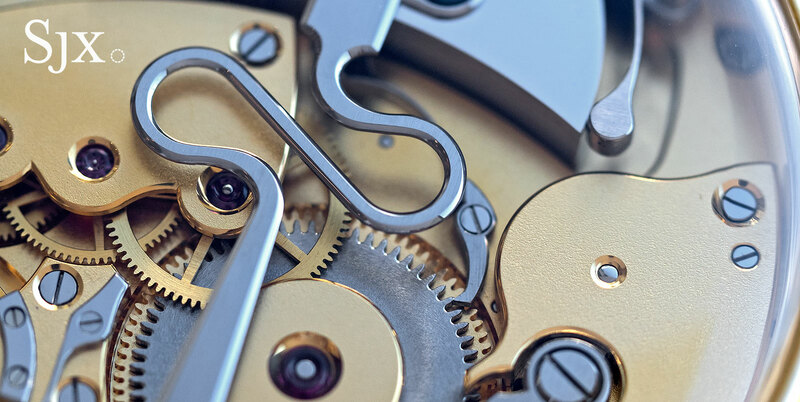 Because the Lemania movement was itself based on old school pocket watch movements, it has a familiar look, with triple “finger” bridges and a guitar-shaped bridge for the centre wheel. The pocket watch, on the other hand, is magnificent. Known as the ref. 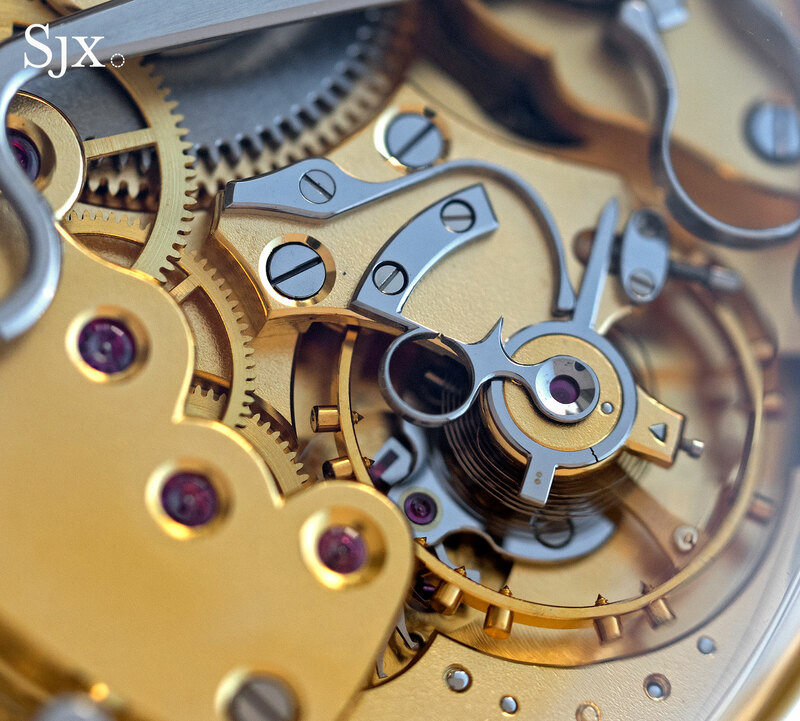 1890, the pocket watch is a replica of several nearly identical perpetuelle pocket watches Abraham-Louis Breguet produced from the late 18th century onwards. The best known is pocket watch no. 5, sold in 1794 to a French nobleman and often exhibited by the Breguet Museum today. Another is no. 195, originally made for one of Napoleon’s generals in 1807 and later sold by Antiquorum in 2002 for just over one million francs. Notice the “secret signature” engraved just beside “XII”. 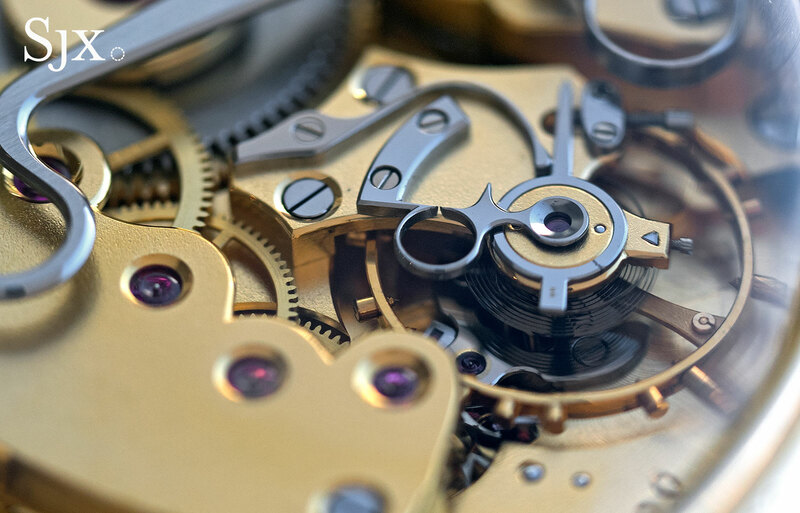 Breguet in the 1990s was still a relatively small enterprise, then still owned by Middle East private equity outfit Investcorp, with an annual output of under 4000 watches (the brand’s annual sales are now over 10 times as large). So production of the ref. 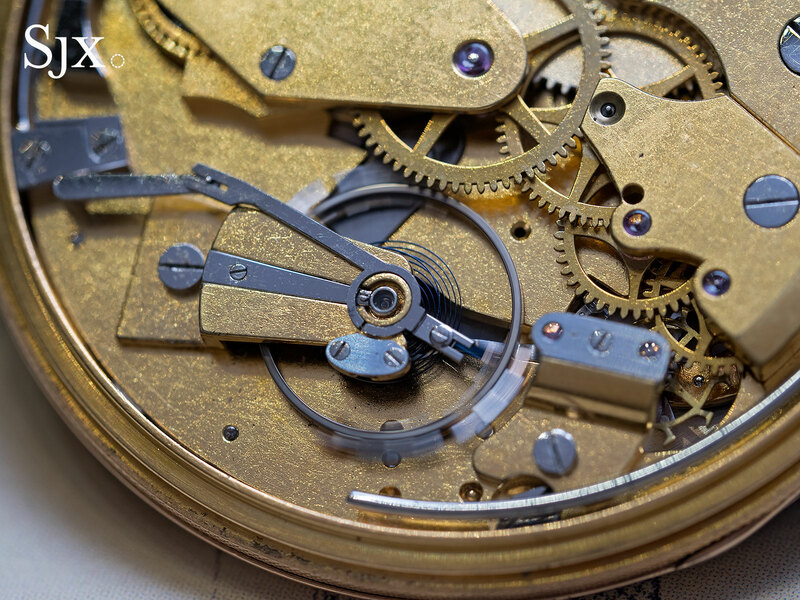 1890 fell to Michel Parmigiani, one of the few watchmakers who can claim to have successfully restored an antique Breguet Sympathique clock (a marvellous 19th century clock that winds and sets a paired pocket watch slotted onto the top of the clock). Replica is perhaps an inaccurate description of the ref. 1890. 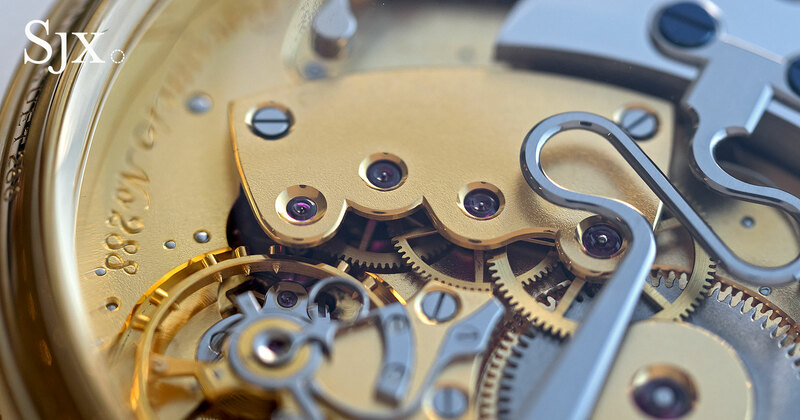 While the pocket watch is inspired by the 18th century perpetuelle, having a very similar hammer-winding mechanism, it differs in complications (the originals had a minute repeater while this does not) as well as details. 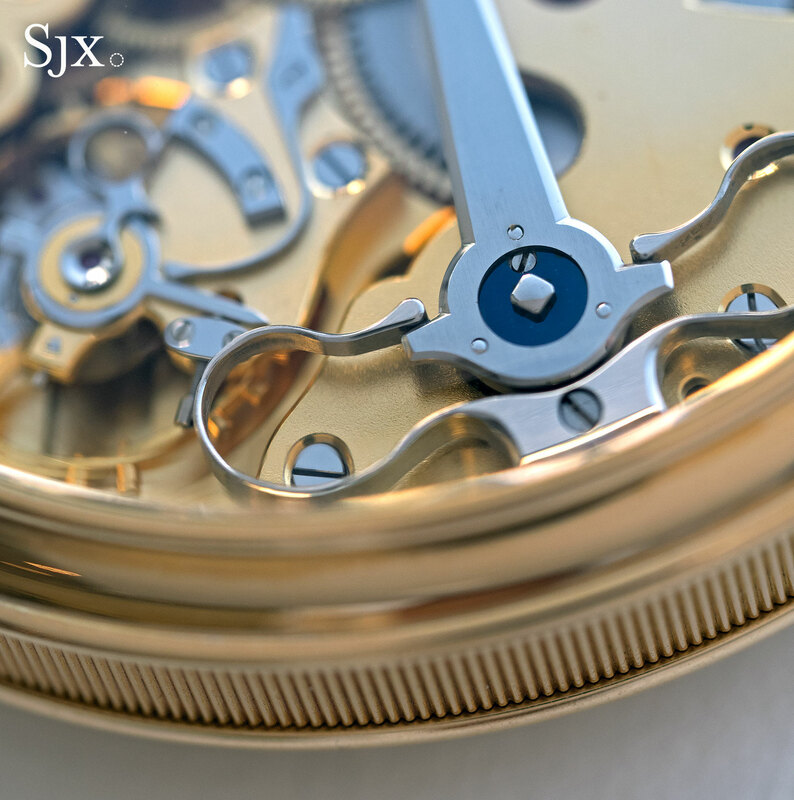 The movement is unbelievably beautiful in construction and finishing, showing a degree of craft and refinement impossible in an 18th century timepiece. 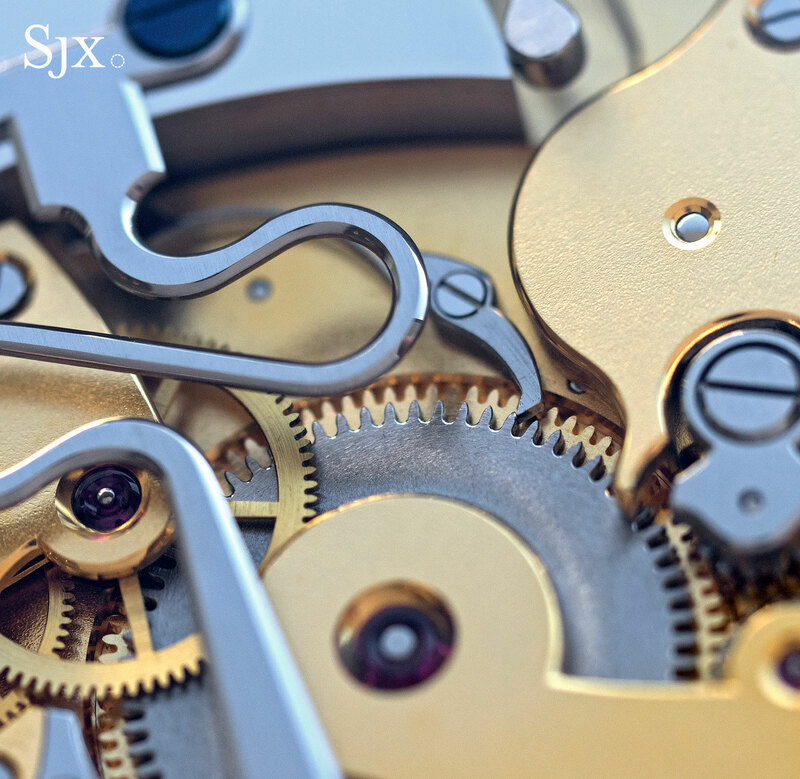 The rotor alone is a work of art: the delta-shaped weight is made of platinum and rides on sapphire rollers; it’s attached to a serpentine steel arm for additional elasticity, and mounted against a symmetrical sprung bumper. Also of great beauty is the para-chute shock protection for the balance, which is installed on both ends of the balance staff. 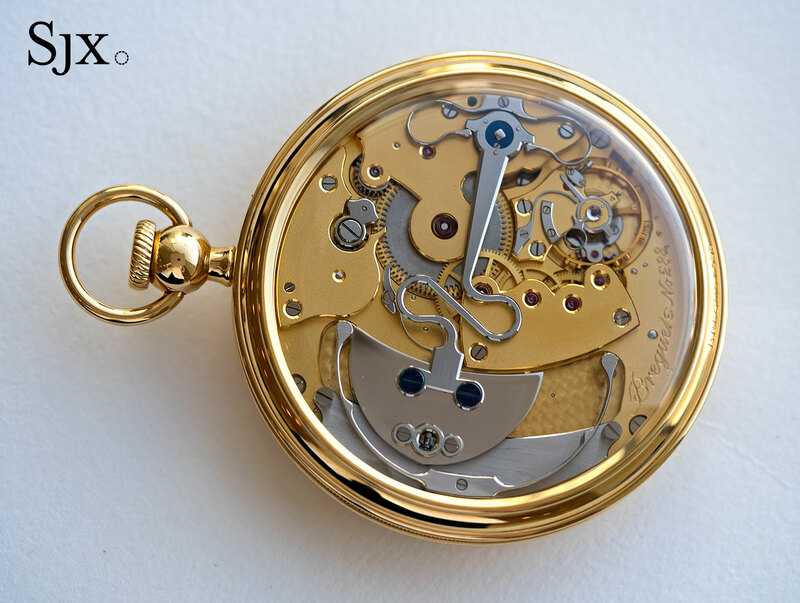 And because the case is a whopping 62mm in diameter, the most exquisite details of the movement can be observed. 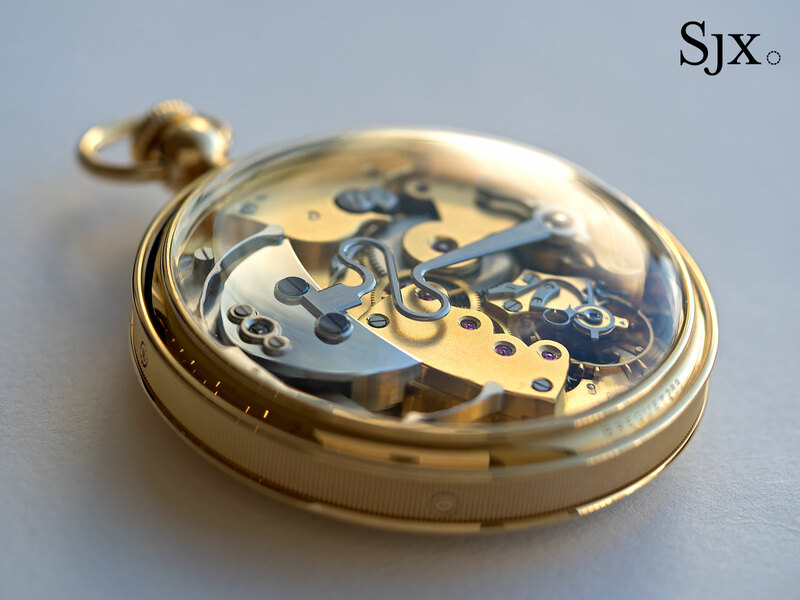 While the pocket watch is not a practical timepiece, it is a tremendous example of modern horological craft. And at the price it’s on offer for – the low estimate on this set is US$71,000 – it is a monumental amount of watch for the money. 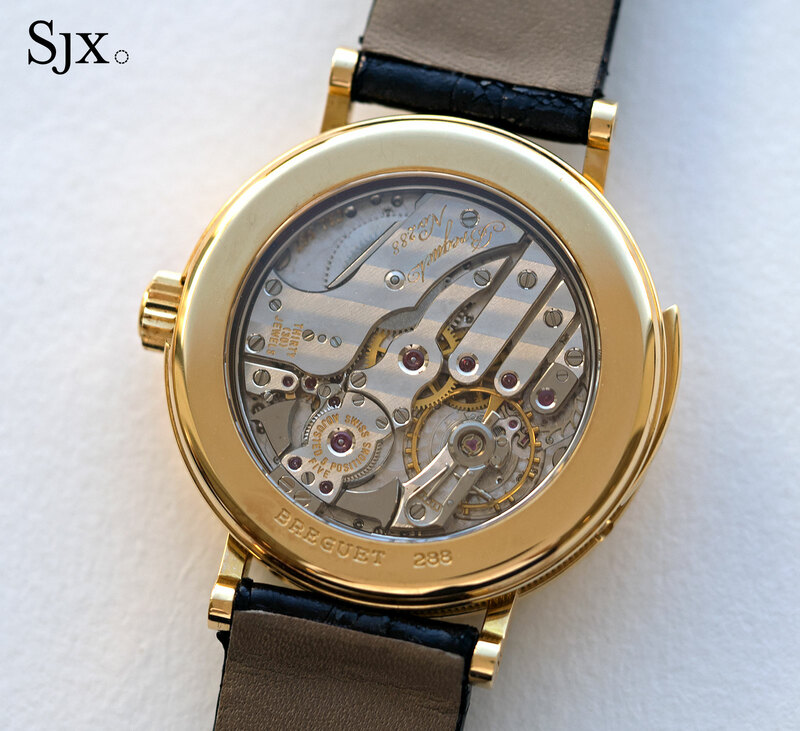 And for comparison of fit and finish: an actual vintage Breguet, this one the no. 4627 half-quarter repeating pocket watch from 1830. 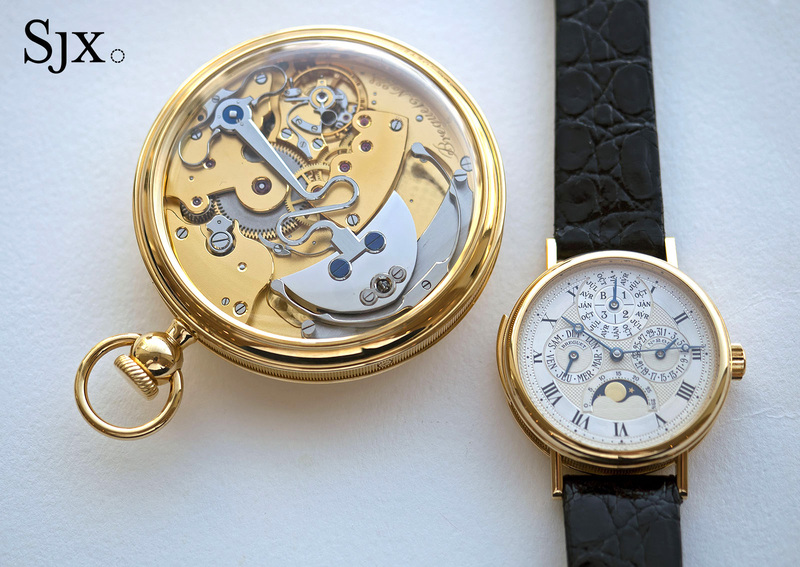 The Breguet Souscription Set no. 288 is lot 2314 in Christie’s Hong Kong watch auction that takes place on November 27, 2017. It is in near-new condition, having been consigned by the original owner who purchased the set in 1993. All of the original packaging and accessories are intact. It is estimated at HK$550,000 to HK$800,000, or US$71,000 to US$100,000.